Bengal or West Bengal as it is popularly known is one of the states in the eastern part of the Indian subcontinent. While selecting the theme ‘A dollop of Bengal’, I hadn’t thought of the unbelievably wide range of categories that define the state. So when I started jotting down the words that started with the first alphabet A, I realized the list was only getting bigger. Nobel prize winner Amartya Sen, award-winning actor and director Aparna Sen, scientist Acharya Jagadish Chandra Bose, novelist Ashapurna Devi , singer Arijit Singh and the heritage monument Adina Mosque in Malda amidst a list of never-ending names. So I chose two subjects that define the quintessential Bengali essence. The Oxford dictionary defines it as a place where people gather for conversations. In Bengal what this stands for is a place where people meet for passionate arguments (sometimes heated as well) related to anything under the sky favorites being politics and the downward spiralling of the state. These addas can be spotted at a range of places varying from the tiniest tea shop to a quiet corner of the road to the pavement of someone’s house. Intellectuals have termed this as brainstorming sessions of many a plot and movement alike like the famous addas at Calcutta Coffee House. Bengalis love for biriyani is well-known. What differentiates Kolkata biriyani from that of the rest of the country is a round and succulent potato. One of the oldest and best options in the city for this is the restaurant Aminia. It is famous for its Mutton biriyani and chicken chap. Till date they have retained their signature dishes along with the introduction of new kebab items. The year was 1999 – it was going to be my first stay away from home. Kolkata was meant to be my destination for the next three years and Presidency College Girls Hostel my address. The night before my parents went back to my home town, leaving me on my own for the first time, we dined at the Aminia outlet opposite Elite cinema, Esplanade. It used to be a favorite of my dad’s during his post graduation days in the city. Over the years, there have been quite a few options serving great biriyani but for me Aminia is nostalgia defined. Happy drooling over these gorgeous food items until we meet tomorrow again. Thanks for such a lovely slice of Bengal! Kolkata is one of my favourite places after Delhi when it comes to street food. Thank you Shalini. I really hope you find this good enough to keep coming back. I had a couple of packets of Maggie noodles today morning for breakfast. I could have done with some mutton biriyani from Aminia. Wife and daughter are away on a trip. Mouth watering dishes. Thanks Sonia. Do give a read on my post when u have time. This reminds me of ‘Bong Adda’, an eatery in my neighbourhood. What a lovely, lovely theme, Sonia! And a smashing debut post! Your love for Bengal comes through each line written by you!Loved reading this and you’ll see me back for more! That biriyani just looks super yum! A fantastic start to your AtoZ, Sonia. I’d be eagerly waiting for more about Bengal. Looking forward to trying out Aminia on my next visit to Kolkata. Never been to this part of India. Thanks Sonia, with you I am sure to make myself more aware about Bengal. Adda, if I am not wrong forms the central theme of most of the cities in India. Good to see that it hold ground in Bengal as well. Thank you Anagha. 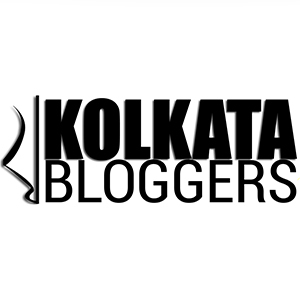 I will try to make sure that the posts are interesting enough to let you explore Bengal through my words. I have friends from Bengal and have heard so many good things about the place. Now, have to visit the place once. Thank you Sushma. Hope this series will be good enough to motivate you to make the visit. Thanks for reviving some beautiful memories with your words and pictures. Best wishes for a great A-Z. Moonmoon di, what a pleasant surprise to see your blog and post. Thank you for the encouragement. Saw some great posts on your blog. Planning to read them soon. Much love and hugs. My pleasure, my dear . Love and hugs to you too.Look forward to loyally following your posts through April. You write beautifully. Last year, I went to West Bengal and before visiting, I did my full research of best street foods and restaurants, watched Vinod Dua show and others on Youtube and no one told me about Aminia. I wish you had chosen this theme for last year AtoZ. Btw, the word Adda always reminds me of Hindi Movies jahan Villain ka Adda hota tha. I really hope that by the time I finish this challenge you would be tempted to revisit Bengal. Thank you for reading and sharing. Thank you Shalini. I really hope that you find this good enough to keep coming back for more. My girlfriend is from Kolkata and I have heard so many good things about the place! This piece just makes me visit Kolkata more. Who knows, by the time you reach Z, I actually end up being in Kolkata. I’m totally unaware of Kolkata except for the Durga Pujo, Howrah bridge, Shantiniketan, Digboi & a few more historical mentions. Yet the few Bengalis buddies I’ve made lately have been really awesome ones. You being one of them. I worship biriyani & hope to taste one of the Aminia varieties someday. By the way, what does ‘Aminia’ mean? And your theme is alluring! Aminia means trustworthy. No wonder we became friends so fast – our love for non-vegetarian food might have been the starting point. Pls keep reading to know more about the state. Beautifully described. Just loved reading it! Thank you. Pl keep reading. Dear SOnia, I’m a vegetarian. You would understand if your tempting pictures don’t appeal to me, right? No offense. I’m curious about the Adda word though. It is widely popular now and used for any place where people hang out in groups. Did the word originate in Kolkata? Thank you Varsh for reading. I have categories that might be interesting to you. Apparently Adda has its origins in ancient Greece as depicted in Satyajit Ray’s movie Agantuk. But Bengalis do claim to be the starting point of adda. Lovely start to the series. I have been to Kolkata once and that too during Pujo. The place is a world in itself. I like how you have tackled personal topics rather than regurgitate “5 things about already well-known people”. Thank you Namratha. Yes it was a conscious effort to ensure a personal angle in these series. Pl keep reading for more facets of Bengal. Visiting for the first time, Sonia and loving your blog! That’s a great start to kick off the #AtoZ and what better than Adda and Aminia, the two quintessential (and iconic too!) things that define Kolkata. My hometown, and a city where I spent 9 years studying and made so many memories! You post made me drool and sigh in turns, remembering the days that I had left behind. And, Aminia, well, the taste of the Biriyani still lingers on. Thank you so much Esha. The encouragement becomes extra special when the emotion resonates with the reader. The idea is to bring on the nostalgia and good memories. Pls keep reading – I promise to make it more interesting. Thank you Rituprapanna. Pls keep reading. 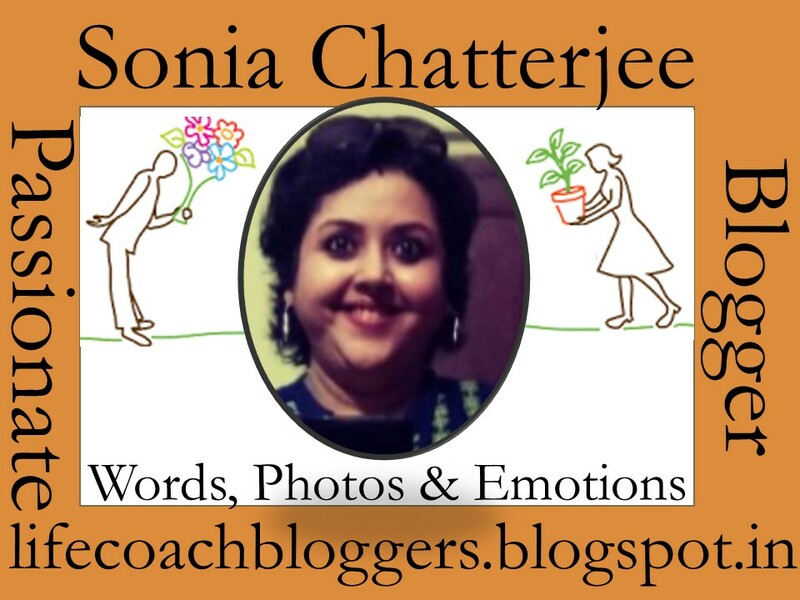 Wonderful theme Sonia and a brilliant topic to start the journey with. Adda and of course Biriyani are the hot favourite indulgence of quintessential bengalis and you have hit the nostalgia chord right there! Being a true-blue Bong myself (though staying outside Kolkata for a long time now… probashi bangali, you may say!) Kolkata always charms me and pulls me in definitely a few times a year! And yes, a Biriyani stop is never missed, though my once favourite Aminia is gradually getting replaced by Arsalan these days. Thank you for reading Sayan. Your comment really made this post extra special. Pls do subscribe. Glad to have met you in this blogging space. Never been to West Bengal, but in Mumbai we have our very own Chai adda, where we gather to have endless cups of tea and conversations. Apparently the adda has its origins in Bengal though Satyajit Ray has shown ancient Greece to be the originating point. Thank you for reading Rrohan. Liked reading the personal angle and it makes the post more lovely. A good start to the series and I will be loving these dollops as a daily dose. Thank you so much for the kind words Tina. This really made my day. such a lovely explanation and i liked the whole about adda. Thank you. Feel free to ask me whenever you plan to visit next. Great post. I never thought biriyani was that famous in West Bengal and they especially had their own local biriyani.